Tomorrow is the All You Can Eat Spaghetti Dinner Fundraiser for our own Bill “Homer” Hall, who is handling a serious illness. It’s at the Firehouse at 7 Lake Road from 5-8pm Adults are $15 and Kids under 10 are $5, and if you can’t be there, they will accept checks written to the Pine Plains Hose Company with FOR BILL HALL written in the memo. You can mail those in too, to PO Box 668, Pine Plains, NY 12567. Bill and his wife Rhea are terrific people and need our help. This past week, I met with Dutchess Tourism, who asked me to bring together a passle of businesspeople for a meeting with them. We met at Brett and Josh’s Gallery and Goods, in the old Grange… I wanted to impress them with the beauty of that place as well as the energy and enthusiasm of Pine Plains’ businessfolk, and frankly, we succeeded handily. With lots of new ideas coming from this meeting, we at Town Hall will be adding some things to our website for visitors. Maps to our great trails and bike routes, a driving map for a Beverage Route, a Farm Store Route, etc. Ideas always welcome. 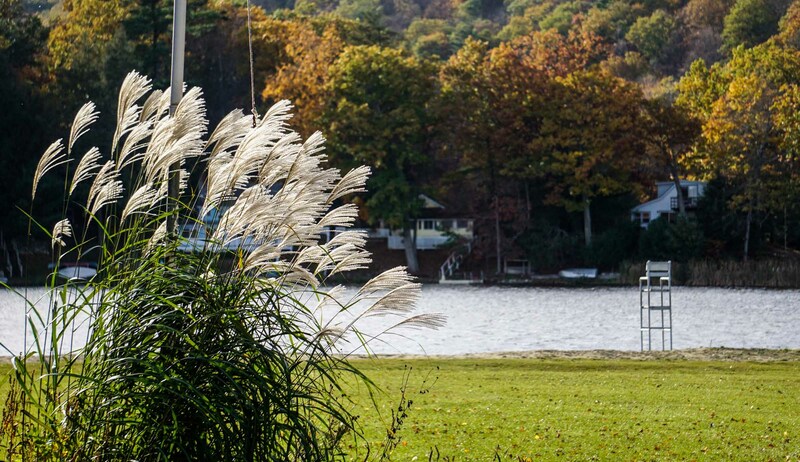 One takeaway from this meeting was the fact that, if we are to attract visitors to Pine Plains, businesses have to step up their social media engagement as well as their capacity to deal with tourists. Working farms are a huge attraction in Dutchess County, but how many farmers can actually drop everything and give tours? If we can get together on this, perhaps we can come up with a solution. After all, We Are Pine Plains. That’s what we do. Marti Steed has graciously offered to help us sell the Old Library building for no commission. This week, she showed the building 3 times, so interest is growing. Fingers crossed that we attract a new business and new folks who love who and what we are. We also met with Hudson River Housing to begin talking about building affordable housing in Pine Plains. This is an awesome not-for-profit which also offers workshops on home maintenance, on buying homes, and on being landlords. Rental space is dear in Pine Plains, and the landlord class might inspire more people to rent to others, so look for them to come in the near future to hold these classes. Central Hudson put up our LED lighting in record time! The workers were so excited by the project that they got it done in 4 days. (I think they just liked eating at our restaurants!) This will result in big savings for the town and people report liking the more focused light. The stars are still visible in Pine Plains. And finally, we are hiring a planner! BFJ Planning will be helping us with our Comprehensive Plan Review in the coming months. You can look them up online at www.bfjplanning.com The Town Board is very excited. The ice has been too soft to skate on, and the sidewalks too icy to walk on! Established a TOWN EMAIL delivered most Fridays of the year; now have over 100 members on the list; all welcome to sign up on our new WEBSITE which we got up and running as well. Began setting up the first of 3 forums with the Durst Organization with the result that they are re-designing the entire project as a passive solar healthy lifestyle resort/development. Project Manager Lisa Baker has been coming to town ever since, meeting with people at various locations to discuss their ideas. This will continue. We are in touch with her on a weekly basis. Became a Climate Smart Community. As part of this, we installed an EV Charging Station behind the bank as a way to draw people with elector cars—who are often healthy lifestyle folks—to visit our town. Because it takes a few hours to charge the cars, they stay and eat and shop. Drew attended Climate Smart Code Enforcement, and we approved LED lighting for the rest of our lights which will be a savings of about $6000/year in utility costs. Passed a Deferred Compensation Plan for town employees and a short-term disability insurance program. Saw the County repair our bridge on Route 83 and the State repair the west side of 199. Bought tasers with a grant for PD and created Taser Policy; hired Michael Belliveau to the Town Police; and hired Kerry Yamashita as special prosecutor for our court. Her work has cleaned up the process for us and we are really lucky to have her. Water Dept dealt with numerous leaks and bad meters and saved town a lot of money. Wilson Endurance took over the Triathlon; very well run and they hope for a bigger turnout this year. Events like this are a part of our economic development. PPMH is also a part of our economic development. Contrary to what some people believe, this is a 501c3 enterprise, not a profit-making organization, but a charitable one. It is a real gift to Pine Plains and something everyone can be a part of and contribute to either monetarily or with work. It will bring concert-goers and art lovers to town as well as music and art. Once again our Summer Camp was awesome, and the added middle school program was very successful. We re-paved the basketball court and added Pickleball to its capacity. We bought and installed an ice rink at the ball fields which is already very popular. We are trying to buy the Ruth Pulver House on the north side of the municipal parking lot, and await very slow response on this. We made a deal with American Tower to lease our cell tower for the next 40 years. Helped add Dutchess Views Farm to the Land Conservancy and still have not sold the Old Library. We did shut it down this winter in order to save approximately $2400 in utility costs. We created additional Town Board Workshop meetings every month, which have tackled highway department issues, solar law, etc. We started a Town Clean-up Day to which Lenny Liberta donated the dumpsters. This was very successful and we plan to do it every year from now on. The brush pile was finally chipped up and townsfolk invited to take what they want for their gardens. A family of beavers was apprehended cutting the ropes at the beach. Due to the high cost of incarceration it was determined that they be transported to higher ground. 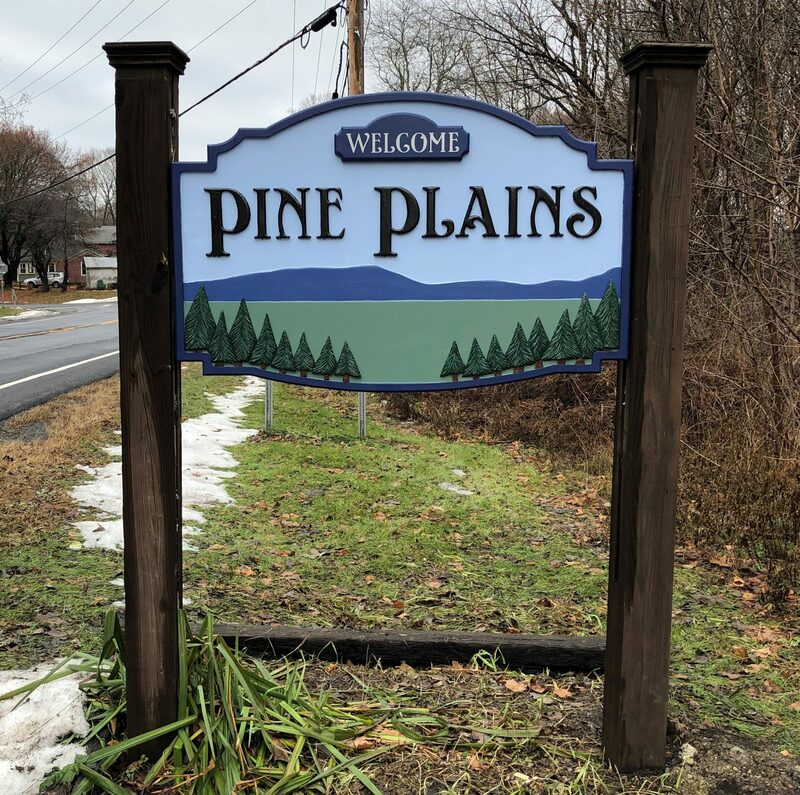 New town signs were built and installed by Anthony Silvia for cost as an expression of his love for Pine Plains. We passed resolutions to create Saturday hours for the Town Clerk—2nd and 4th from 10-12—come see Judy or she’ll be lonely—and to repair the beach septic system. We passed an updates sexual harassment policy and a new Investment Policy and invested our Fund Balance at a rate of over 2%, which could garner as much as $20,000 year revenue for the town. Bought a new Tractor for the Highways Dept. Invited a CAPE drug addiction counselor to town with the help of Gregg Pulver for funding. Businesses have been sponsoring banners at the recreation fields. Thanks to the following people for all their dedication to Pine Plains: outgoing Christi Acker, Nancy Proper, Bob Cordella, Kathy Rigano and Peter Salerno and incoming Ibis Guzman, Tricia Devine, Lori Patricola, Sandy Koch and Lynda Wisdo. Jim Mara will step down as chair of our assessors to be replaced by Rich Diaz. Our gratitude to both men. and to our fire department for their dedication to our citizens in need, our highway department ditto, our police department, all our volunteers and board members for your energy and wisdom: you keep Pine Plains running well and happily and make it the wonderful place that it is.